In my post bike purchase enthusiasm phase, I bought lots of stuff from Ellis Briggs under their 10% discount scheme for EB bike owners. This included a car bike rack, helmet, pump, panniers, bell, front rack, cages (free bottles) and lights. I spent a very pleasurable few days with allen key in hand, fitting, adjusting and generally poking around until I felt the bike was ready for the open road. It looked very handsome indeed, every inch a touring machine. Since then I've made a few changes buying bits and pieces from Ebay and direct from OEMs plus foreign stuff from a particularly excellent bike shop near Lippstadt in Germany. The best changes were Arkel panniers and a Brooks B17 saddle. 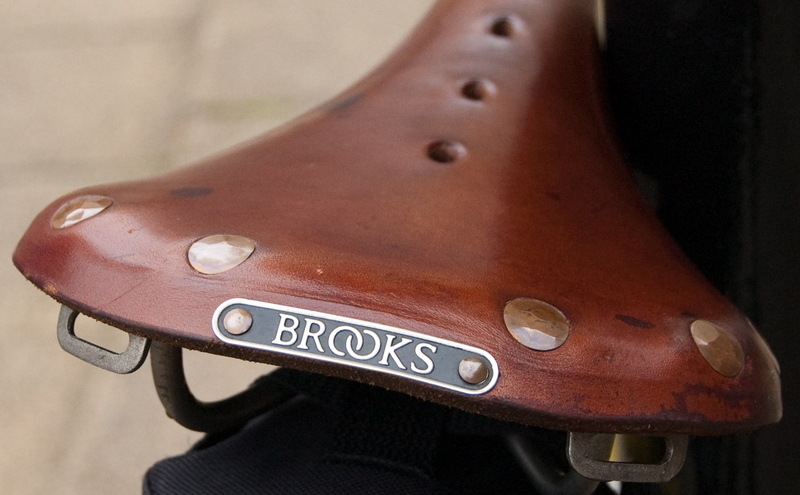 Brooks have just launched a touring website Enjoy Every Mile and I kind of know what they mean! I was fortunate to have a tow bar on the car as this made fitting a bike rack relatively simple. Driving 300 miles with a bike strapped to the back of the car was in itself a daunting prospect. iPod and book "Life of Pi"
New cassette sprocket 11-34 - those hills! The bike was ready, so I began planning for the first of my cycle tours.